The Fluke 53 II single input digital thermometer delivers fast response with laboratory accuracy (0.05% + 0.3°C). And it logs up to 500 points of temperature data to internal memory. 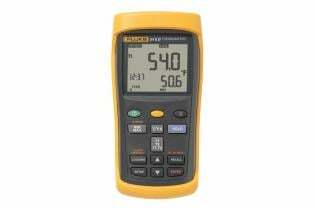 You can use the 53 II to measure contact temperature on motors, insulation, breakers, pipes, corroded connections, liquids, and wires with industrial standard J, K, T, E, N, R, or S-type thermocouple temperature sensors. The user-friendly-front panel and large, backlit display make it easy to view results and recall logged data for further review. And the sleep mode feature preserves battery life to give you a typical thousand hours of operation. 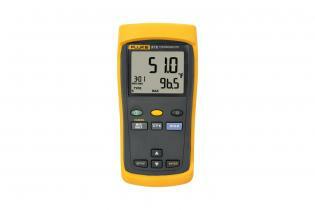 Fluke 54 II B dual input digital thermometer can log up to 500 points of data to internal memory. Fast response and laboratory accuracy (0.05% + 0.3 °C). 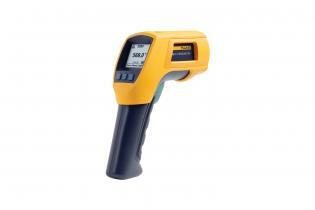 The Fluke 52 II dual input digital thermometer offers fast response and laboratory accuracy (0.05% + 0.3 °C) in a rugged, handheld test tool. 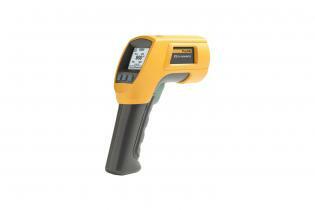 The Fluke 572-2 High-Temperature Infrared Thermometer is the one product you can use in high-temperature industrial environments all around the world. 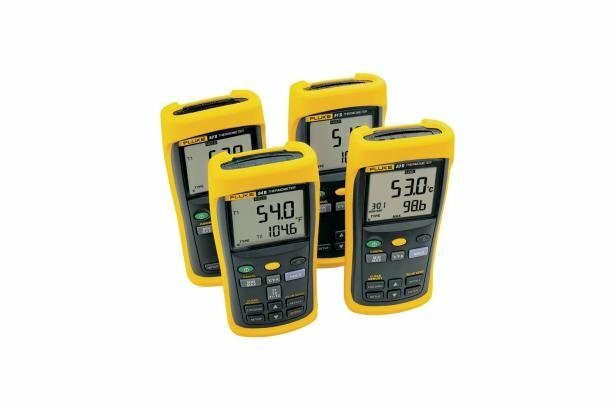 The Fluke 568 two-in-one contact and non contact thermometer can stand up to tough industrial, electrical, and mechanical environments.